Almost everyone in the software development community is familiar with quality assurance (QA) and automated testing. The latter plays an important part in QA and software application testing. It automizes many of the tasks which otherwise would have to be done manually by human testers. The benefits of automation are numerous, especially those which concern regressive testing. 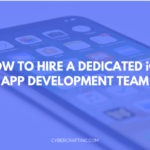 Taking this into account, it’s not surprising that the field of automation testing is constantly developing and more and more specialists and companies enter the field. But before we discuss the most common applications of automated testing, let’s briefly mention the definitions of application testing and automated testing. 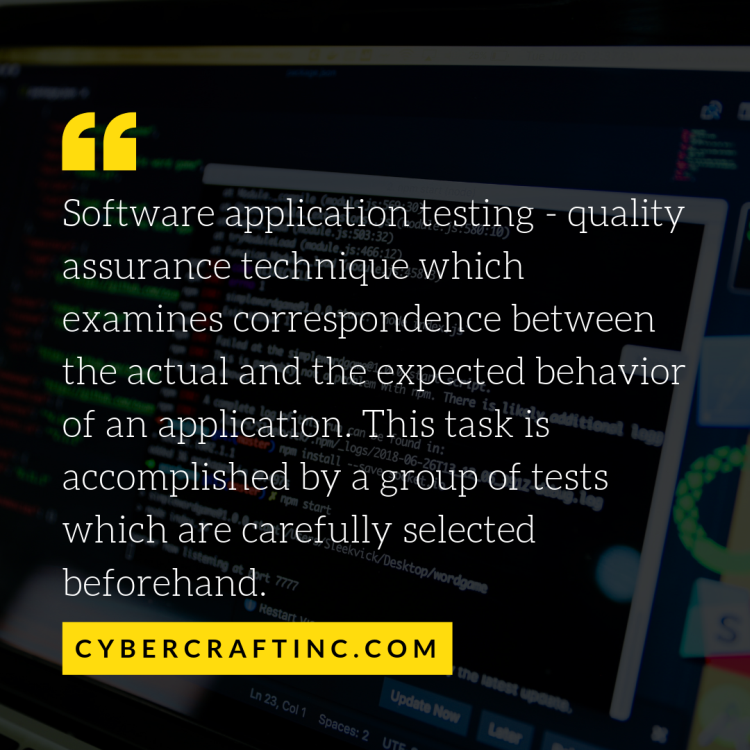 Software application testing – quality assurance technique which examines correspondence between the actual and the expected behavior of an application. This task is accomplished by a group of tests which are carefully selected beforehand. 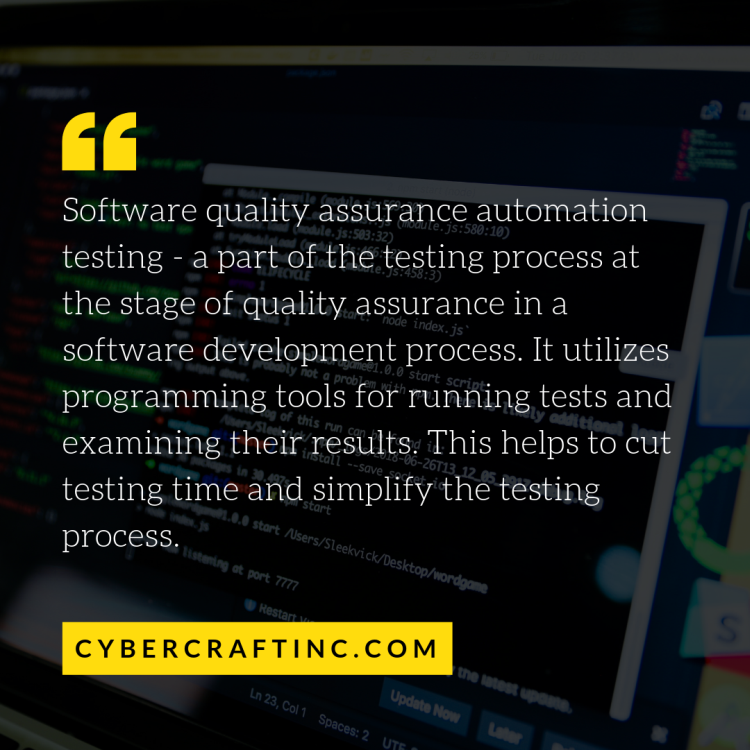 Software quality assurance automation testing – a part of the testing process at the stage of quality assurance in a software development process. It utilizes programming tools for running tests and examining their results. This helps to cut testing time and simplify the testing process. Automated tests have become an integral part of software development and quality assurance. Software development companies began applying QA automation as they found many benefits related to it. For example, speed and smarter allocation of human resources. These, in turn, can lead to serious cost savings. If implemented the right way, automated tests can provide a number of important advantages to your software project. Whichever software development methodology you are using, in almost all cases you will have to deal with automated tests. Likewise, their applications are numerous. Let’s review the most popular of them. Product setup. The goal of this task is to ensure correct setup of a software product. Test data generation. Tests can be programmed to automatically generate entry data for penetration testing and quality assurance, in general. User interface components’ interaction. They can also ensure proper interaction between components of a user interface. Performance testing. Automated tests are perfectly suitable for checking application performance. Regression testing. Changes to the code can suddenly disrupt the proper functioning of an application. Automated regression testing helps avoid such unexpected errors. Security testing. Security is an important part of software development. Automization of tests allows easily identifying any security issues. Functional (White-Box and Black-Box). Manually testing every function can be stressful and time-consuming. It’s much smarter to automize this task using both white-box and black-box methods. Installation / Integration / System. Proper installation and integration of components within a system are easy to be tested with automatic scripts. Smoke and sanity testing. Both smoke and sanity tests can be performed by automated scripts. Usability/UI/GUI testing. User interface, GUI and usability can be easily tested by automated scripts as well. Compatibility. Ensuring perfect compatibility (mobile automation testing) is another vital task which automation successfully accomplishes. Internationalization. Similarly, test scripts can check correct internationalization. User Acceptance. Being the last phase of testing, it is important to make sure that it’s conducted the right way. Automization does just that. Having reviewed the most widespread applications of automation testing let’s review the most popular QA testing tools. We must mention that paid tools usually offer better functionality and more benefits, in general. Testing with them is easier and more efficient. Let’s review these three tools. Quick Test Professional by Hewlett-Packard is now known as Unified Functional Testing (UFT). It is currently one of the best automated functional testing and regression testing tools. It includes a graphical UI. Both scripting and keyword interfaces are supported. This is another tool owned by Hewlett-Packard. It is perfect for testing application behavior under load. This is due to its ability to simulate multiple users at the same time. After such simulations, LoadRunner conducts a detailed analysis of performance. TestComplete by SmartBear claims to be the easiest testing tool out there at the moment. It utilizes artificial intelligence for testing. Specifically, it uses visual recognition & hybrid objects and works on all types of devices. This makes it one of the best mobile automation testing tools out there. Free does not necessarily imply poorer quality. Rather, it implies that these tools are different in some ways from the paid ones. Let’s see exactly how. JMeter is perfect for load testing behavior and is one of the best performance testing tools. In many ways, it is similar to LoadRunner. It conducts load simulations on objects, servers, and networks. It allows testing different kinds of applications such as Web, FTP, Database, TCP, Java Objects, etc. This is another load testing tool which runs on Java as JMeter does. It allows conducting distributed testing with the help of multiple injector machines. Anything which supports Java API can be tested with its help. Flexible scripts and network distribution are another important advantages of this tool. When it comes to web browsers, Selenium automation testing is perhaps the best option out there. Its functionality is not limited only to testing. Selenium testing tool works with the major browsers and is integrated into other popular automation tools for browsers, frameworks, and APIs. SmartBear’s SOAP UI is the most popular tool in the world for testing SOAP & REST APIs. 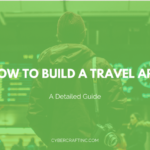 It provides functional, security, data-driven and performance testing for APIs. It also offers API mocking and detailed reporting. Which tool is best for you depends on the peculiarities of your project. With this being said, let’s consider the most common automation testing techniques. Let’s analyze each of these in detail. This technique allows anyone to conduct tests even if they don’t know how to code. 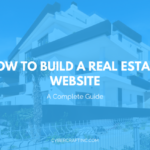 One of the ways it works is by manually performing certain tasks in a web browser and saving them. Afterward, you can repeat the test with just one click. This significantly accelerates testing and rids you of a need to manually repeat the same test multiple times. This is the most popular way to run tests – writing test scripts. This requires sufficient programming knowledge. Testers write special scripts enabling automated test cases which can be repeated multiple times similarly to the previous method. This method utilizes a table or spreadsheet for storing test data. With its help, it’s possible to write tests which fulfill tasks for that data. The input data is taken from the table and is inserted as a variable in a test script. This allows running both positive and negative test cases. This is a scripting method which utilizes data tables containing relevant keywords for application testing. Every keyword covers a certain function which performs the needed set of actions. A script retrieves keywords from a spreadsheet and corresponding functions from the function library. It is also worth mentioning that there exist many widespread myths about automation testing. Like the famous TV show Mythbusters, we’re going to bust them all below. No, you can’t completely substitute manual testing. There will always remain tasks which have to be performed manually. Software testers will most likely always have a good amount of work to do. There are always some unpredictable circumstances which do not permit a complete shift to automated tests. There will always remain errors which can be identified only by manual checking. This is the opposite side of the spectrum – some people on the opposite believe that everything can be done manually. This is a misconception as well. Some areas such as regression testing cannot be effectively controlled by manual testing. In some cases, it may take forever to test manually. For this reason, never assume that you can do without automated tests. Actually, it’s the exact opposite. Automation saves your time while manual tests are time-consuming on the contrary. A manual test has to be performed multiple times. While you may spend some good amount of time and efforts on writing that test, the nerves and the time you will save with its help are likely to be worth it. Writing and running tests is not easy. It requires deep knowledge and experience. It can sometimes be even irritating. But is manual testing easier and less stressful? Absolutely not. Manual testing is usually much more stressful. Therefore, while automation is not easy, it’s definitely easier than manual tests provided you know how to write tests. Some people believe that automation works only for testing regressions – how changes and updates affect the behavior and output of an application. This is a serious misconception. As we’ve shown above, automated tests cover many other areas besides regression testing such as performance, security, product setup, compatibility, and many others. Automation does not imply the absence of cooperation between the members of a testing team. Every QA automation tester still has to work together with other team members. Quality assurance is not much different from other parts of software development. All of them require tight and effective cooperation between engineers. So does automatic quality assurance. Automation testing is not a short-term game. It’s a big mistake to expect immediate returns on your investment in QA automation. You should have patience and long-term expectations. Only such patient attitude will allow receiving positive and significant financial results from the funds allocated to automation testing. Most people assume that the only purpose and benefit of automation lies in identifying errors. However, there is another hidden benefit – it provides valuable data and insights. These, in turn, can be used to improve the end product and solve many of the technical issues you are struggling with. 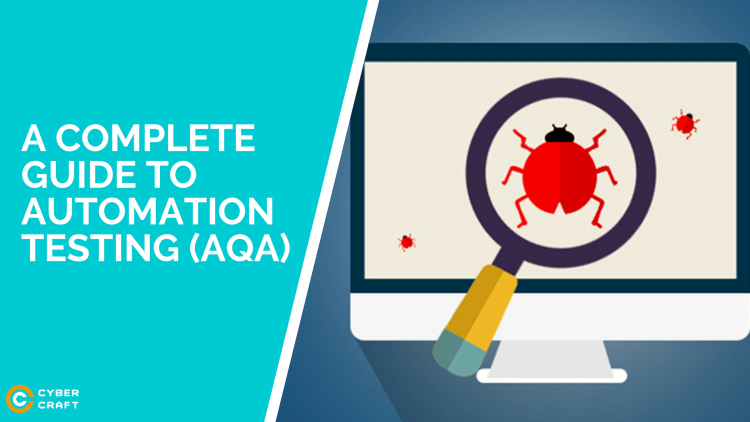 We hope our detailed introduction to automation testing has helped you get a clear picture of this field, its common applications, best QA testing tools, and techniques. We also dispelled some of the most popular myths about automatic quality assurance. Remember, automatic testing is not the answer to all your problems but it can cover a significant fraction of testing tasks. It also requires enough diligence and patience. However, practice shows that results are usually worth the effort.